A lot of my recent activity on this blog has been related to the publication of Septuaginta: A Reader’s Edition, which is now in print and available in the typical places. I am planning to return to more “usual programming” in due course (probably after SBL) and have some fun things planned when that happens. We will do the drawing in early January and winners will have their choice between the hardcover or flexisoft editions. Testament and Septuagint Studies blog like this one. So I’ve titled it a “Book Highlight” since that seemed to make sense, although the spirit of this post is a review. 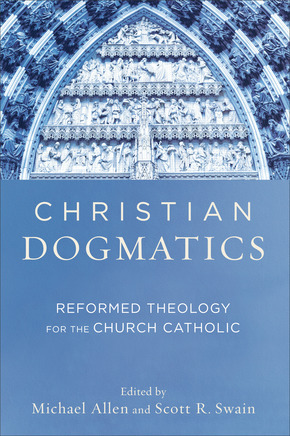 But, having read and thoroughly appreciated Michael Allen and Scott Swain’s manifesto for scriptural interpretation, Reformed Catholicity, I knew that I had to read this volume too: Christian Dogmatics: Reformed Theology for the Church Catholic (Baker 2016). This volume is essentially a one-stop tour of theology from a broad and historically Reformed perspective. 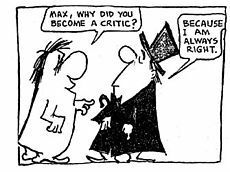 Almost every major loci of dogmatics is treated by an academic dream team of scholars from numerous institutions. They are all eminently qualified for the task. Each essay is about 25 pages long, and is equally introductory, thorough, and intellectually challenging. It would make an excellent text for the college or master’s level theology course. Part of what I particularly like about this book is that, while its contributors set out to explicate their theological topic according to the historically Reformed approach, not all of them are formally affiliated with that tradition itself. To quote the introduction, “What binds the different essays together is their attempt to draw on the fecund resources of Holy Scripture within the context of the catholic church of the Reformed confessions … [and their contributors’ commitment] to the proposition that theological renewal comes through dependence upon the generative resources of the Triune God in and through the gospel and that such dependence is best expressed in our particular historical moment by way of retrieval” (p. 2). The basic idea behind “theological retrieval” is that the contemporary theological task must be undertaken with the full history of tradition that has sustained the faith that has come before it. This will include, of course, the orthodox creeds and confessions, but also earlier theologians and exegetes from the Church Fathers up to and beyond the Reformers. Add to that the remarkable collection of figures who have endorsed the book. I am not going to go into detail describing the content of each chapter, in part because it’s obvious what each deals with. But also, to be honest, because I haven’t finished working through them all yet! It is a dense and richly rewarding read, I can attest, and I don’t plan to rush. Instead, I’ll give some macro-level thoughts on the vision of this volume and highlight its intersection with my normal wheelhouse: biblical studies. It is an eminently biblical principle that faith and knowledge of God is to be passed from one generation to another (Exod. 13:8-10; Ps. 44:1; Deut. 4:9; 2 Tim. 4:1-4). Each generation therefore receives and is trained in the gospel from those before it, and this process therefore rightly generates a tradition, biblically conceived (1 Cor. 15:3). Helpfully, Allen and Swain distinguish between the biblical concept of theological tradition – being intellectually and spiritually shaped by the Christian confession – and mere “custom” that may perpetuate error through history (p. 5). To that extent, the task of this volume is dogmatic, and not “systematic.” The latter implies doctrinal deduction from a logical principle, while the former entails reflection on the task of Christian confession to “equip the saints for a more faithful hearing of and testimony to the words of the prophets and apostles” (p. 6). Of course, biblical studies is different from theology. Dogmaticians like those who contributed to this volume have a closed corpus of texts to interact with: the biblical canon. Now, the whole idea behind this volume is to self-consciously allow the weight of Christian tradition – biblically defined – to inform the theological task, which entails a huge range of “secondary literature” for study and reflection. But, unlike in biblical studies, it is exceedingly rare that something “new” comes up in theology. In fact, when that happens, it’s usually a bad sign. In biblical studies, however, it is not all that uncommon for something new to literally be dug up: a manuscript, an inscription, an ancient ruined city, whatever. Very often, these discoveries have some significance to the various tasks of biblical studies – sometimes with enormous implications, as with the discovery of the Qumran Scrolls in the Judean desert. So, to some extent, it’s understandable that biblical scholars often seem their discipline as “scientific” in a way that theological studies is not. The two departments do very different things much of the time. Next year’s SBL conference will be held here. But not all the time. There is and must be overlap between the two. That is underlying idea of biblical theology, for one thing, and has been increasingly acknowledged in the so-called Theological Interpretation movement. But more than that, we cannot claim to approach any intellectual discipline severed from our faith commitments. That goes for textual and linguistics studies as much as it does for hermeneutics and theology. Consequently, biblical studies is rightly and most faithfully carried out within the confessional context. That is how we appropriately reconfigure the image of interpretive bumper bowling for a discipline that exists within a secular academy that tends to become a smokey, midnight techno-neon bowling alley. As someone who shares the goals and convictions outlined so well by Allen and Swain in their Introduction, I am grateful for their efforts. And – perhaps I should do it more – I encourage my readers, who most likely are textual and linguistic gearheads like me, to take up and read theological volumes like this one and get your “bumpers” set in the right places. To the extent we do so, our work too will contribute vitally to a more faithful hearing of and testimony to the word of God to his people in Scripture.